Don’t be alarmed. You are still viewing The Sophomore Slump 2. 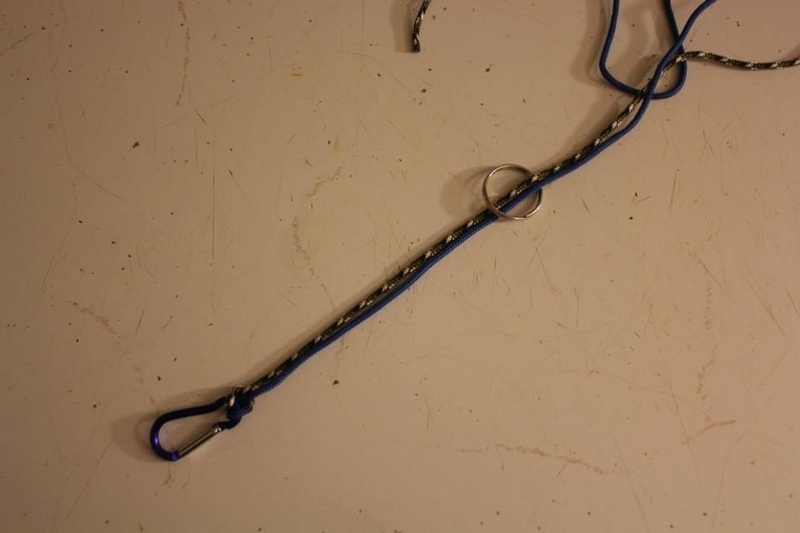 This next Special post is a tad more advance instruction from the first part of making a parachute bracelet I made before. 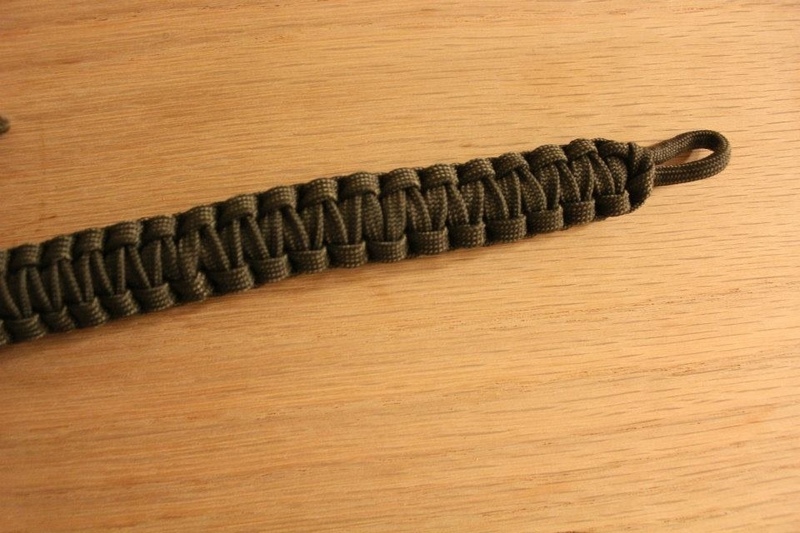 We will use the same weaving pattern that I used on that post, which is called the cobra weave. You can still catch up on how to do that because I will touch up on it but not as elaborate as the first part. 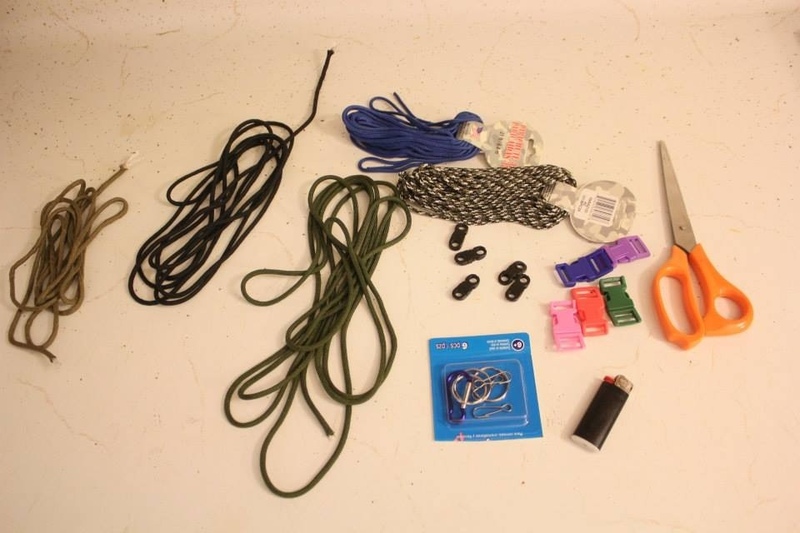 Here is all that you need to make a parachute bracelet and a keychain. I’ll show you the end result so it is easier to visualize. Alright, the first part we did was one color. This time, we’ll make it a tad advance and do two colors. 1. 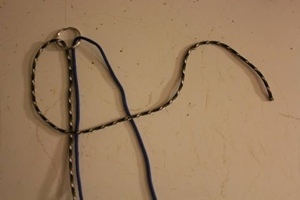 Cut the two color chords evenly. Cut it about 2 arm and a half arm lengths. Maybe that’s too much but it’s better to have excess. 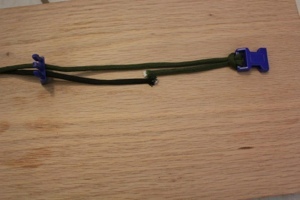 Take one end of the first color cord and pull it through the female part of the buckle. You see that we made a loop. 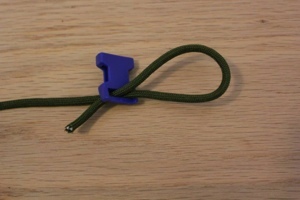 Now with the same first color chord, bring the rest and pull it through that loop. 2. 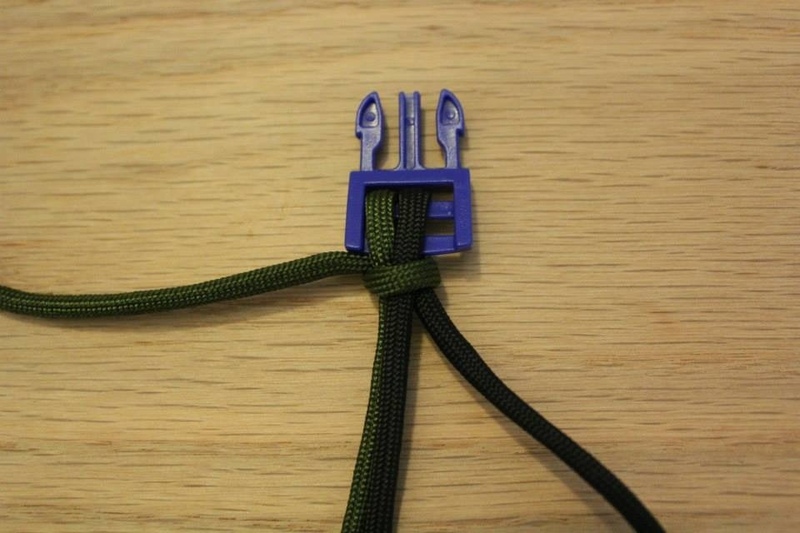 Take the other end of the same first color chord and pull it through the male part of the buckle. 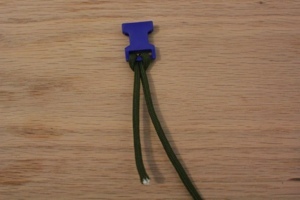 Take one end of the second color chord and pull it through the male part of the buckle. 3. 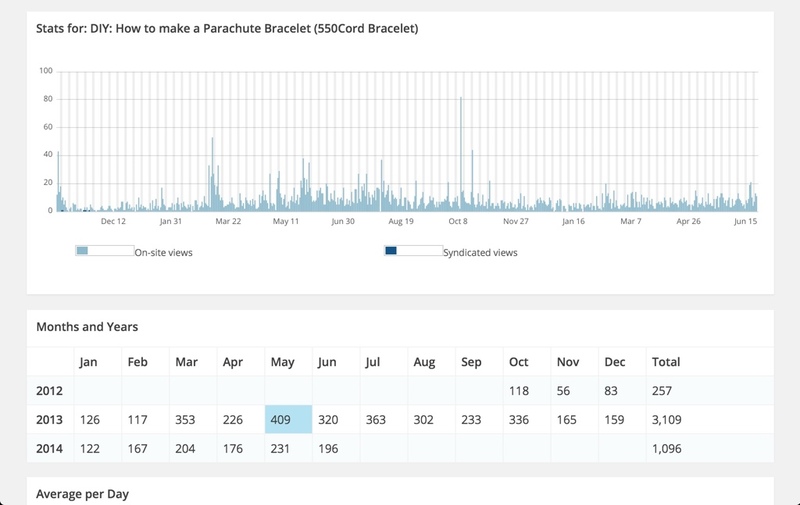 At this point you can make adjustments on how long you want your bracelet is going to be. I’ll let you see mine. Now go to the male part of the buckle. 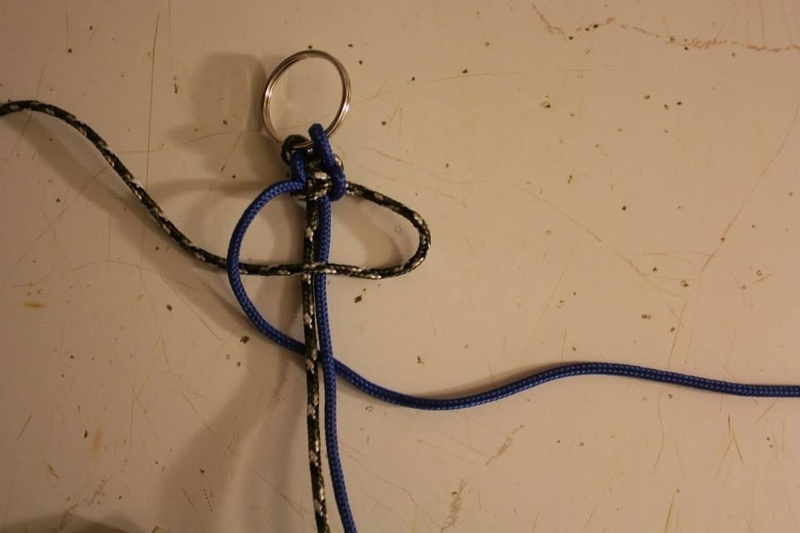 Make a square knot over the two color chords in the center. 4. 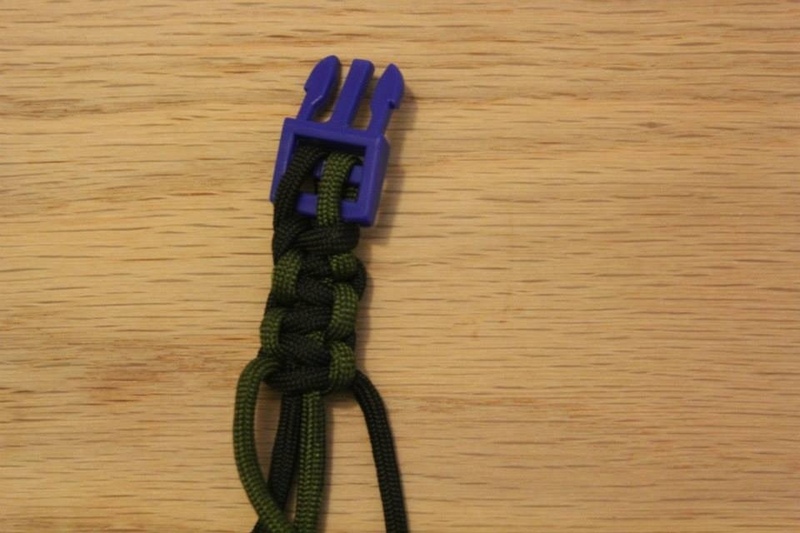 Now do the cobra knot just like the keychain (instruction below) or from the basic instructions in first part. Do that until you reach the female end. 5. Lastly, cut the extra ends as close as you can, and then burn the end. 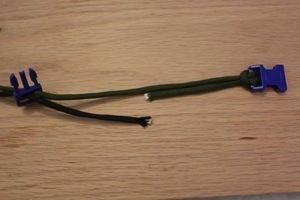 Burn both ends of the two colored chords together. 2. 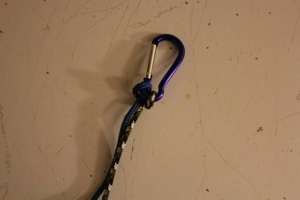 Take that and stick it out the carabiner. Make that loop again. Bring the rests of both chords to that loop. 3. 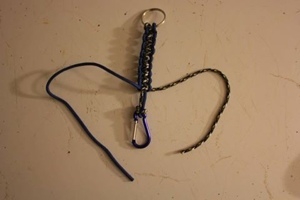 Now put the keychain ring through the chords. 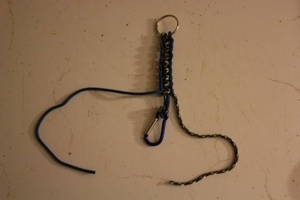 Then, make your adjustments on how long you want your keychain. 4. Now, we do the cobra knot again. 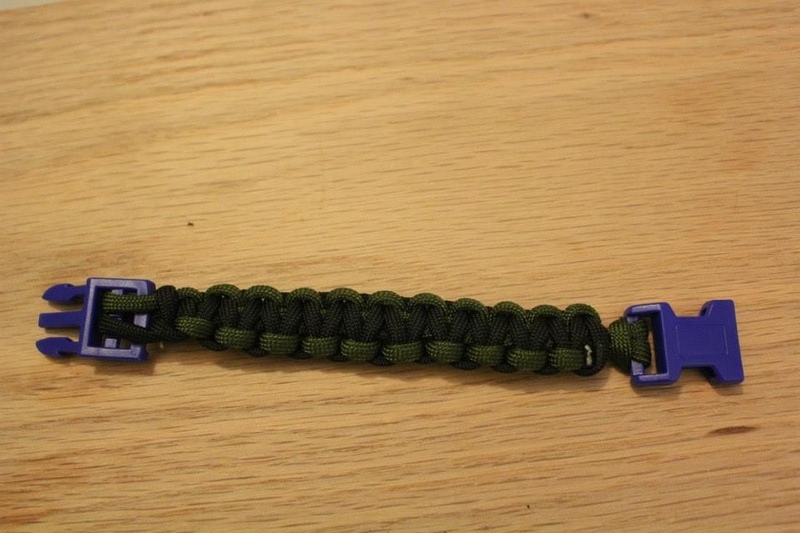 See my first blogpost of the parachute bracelet making. First, take first color chord. Put it on TOP and ACROSS the middle. 5. Take the second color chord. Go OVER the first and under the middle. Making an “e”. Keep doing the same thing over and over until you reach the bottom. Try keep pulling it up. The tigher it is, the better. 6. Again, once you reach the end, burn it making sure that it is attached on the surface of your main chords. Viola! 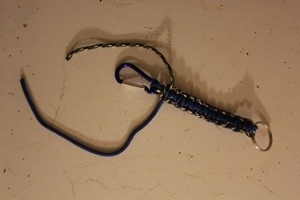 You got yourself a keychain. 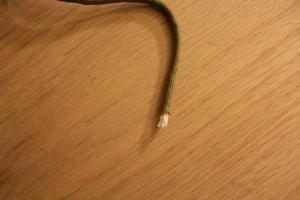 If you do not want it thicker, you can pull out the threads that are inside the cord. 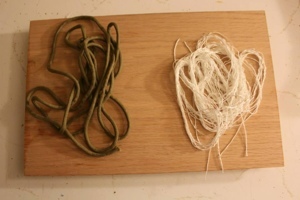 You se the white threads? Just yank it out. There you have It folks! It may seem like it’s too much. I’m telling you. It is easy. It gets even easier once you get the hang of it. 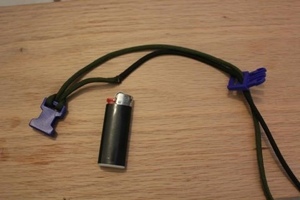 I can make that keychain in 3 minutes. It’s nice for gifts. And it can be addicting too. 😀 I even do it when I’m out sight-seeing. My first post of this NEVER left the Top Post and Pages. It’s been more than one year since, and e-ve-ry-day I get at least one view of that post. Thank you very much for the patronage on the first post of this DIY post. If you think this second post is pinterest worthy, I hope you share it as well. You or someone you know might be interested in doing it. I also want to take this time to thank everyone who have shared my other posts to other media. This blog has accumulated nearly 900 shares. Again, i highly appreciate it. I’m gonna try this sometime! you have a awesome skill! i cannot help but buying. Making it is more fun, cheaper and you produce more. The good thing about buying is having varieties. 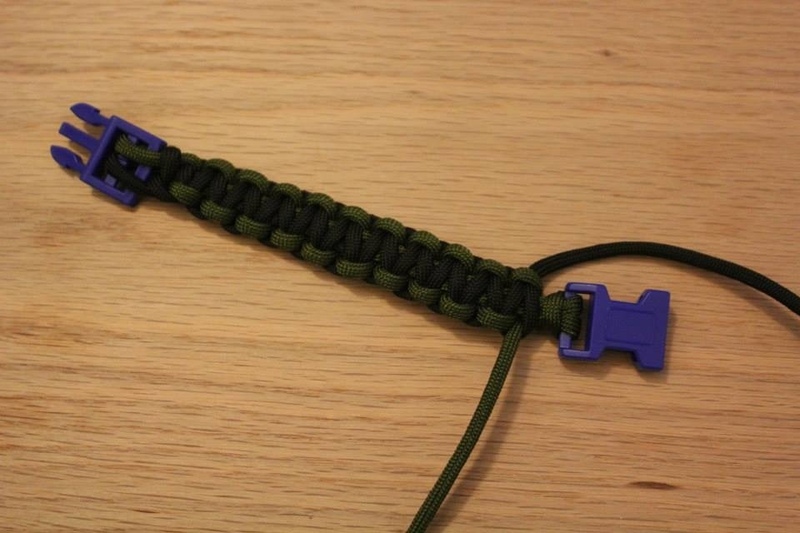 A key chain, a bracelet with buckle and a regular paracord bracelet … I guess that’s many talents. 🙂 Thanks, Lu. 😀 Actually, I take the first one there rather than bracelet making. 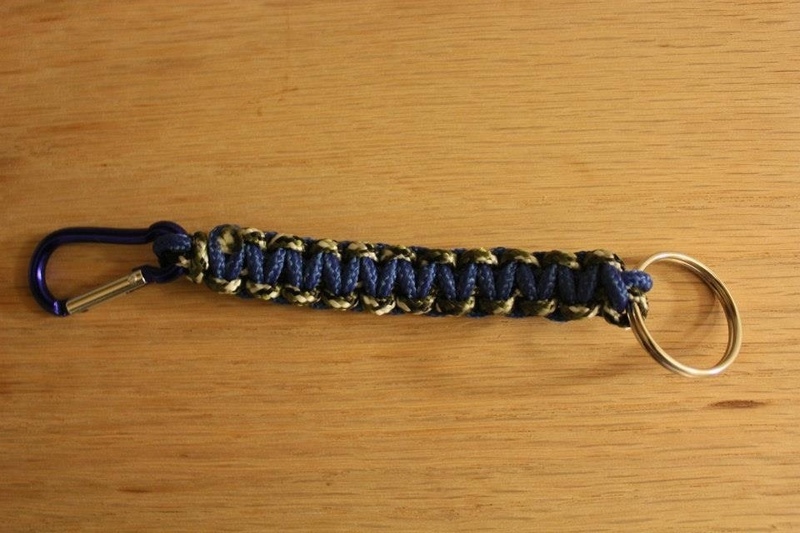 I’m pretty much a novice compared to other people who make parachute bracelets with different designs and patterns. Every time when I open your blog the header catches my eyes. The cat on the wires is awesome. I am surprised how some activities come back to the life. 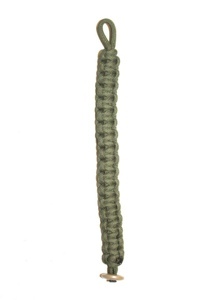 Long time ago when I was in school we made something similar from soft copper telephone wires in color tubes. And now your lessons have brought good memories. Thank you. Yup, that’s one thing I always think of when I make one. Going back to grade school making arts and crafts projects. You’re talented, Rommel! Thank you for the details! Very cool! 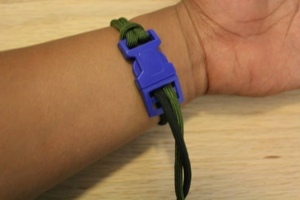 If I start now, I can have a personalized, matching bracelet & key chain for everyone on my Christmas list. Brilliant indeed and useful too. Thanks. Hmmm, i think I ll keep my daytime job, taking pictures. 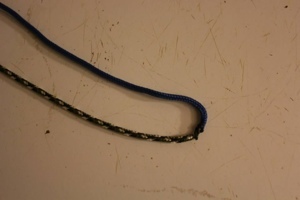 But its patience that helped you make this bracelet. Thanks for sharing. Aside from being a good writer, you’re also shining as a crafter…hehe..Thanks for sharing your creative side…. I’m all thumbs….there is no way!!! You are very crafty. I like the last one, the thinner one, best. Very cool. That is cool Bro. A fun activity with a stylish end result. A perfect accessory for Summer! I bought the cord. I ordered the book. 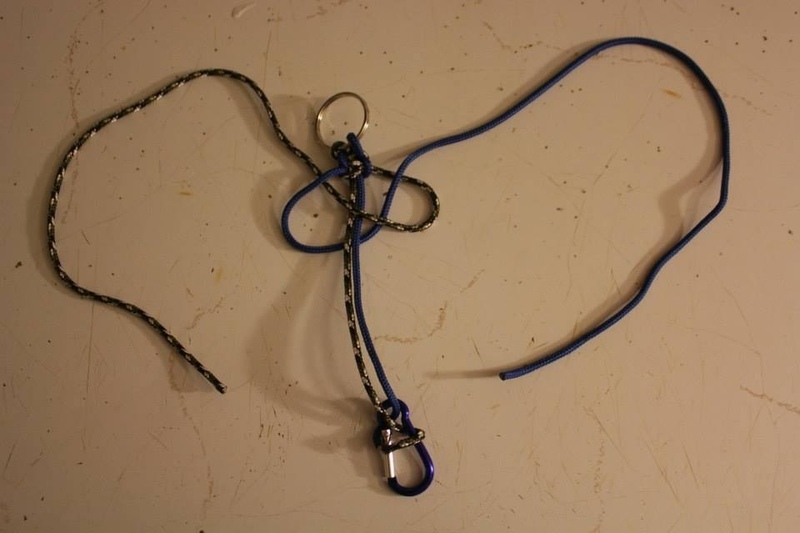 When it comes I want to make a dog collar and leash. 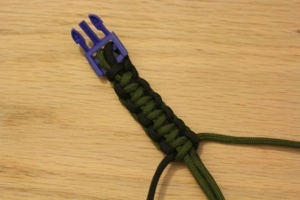 I might even make a bracelet. I love them. I like yours.